For our selection of pop culture earrings, ranging from dainty superhero stud earrings to statement dangle earrings from your favorite movies, series, comics, and more, shop this section. We carry licensed pop culture earrings from a range of popular fandoms, including Game of Thrones, Harry Potter, Star Wars, and Star Trek, to name a few. Shop everything from superhero earring stud sets to Zelda sword and shield earrings. Our light saber earrings make a big impression, and our Star Wars screw back earrings are great for both men and women with pierced ears. Keep checking back as we add more items to this growing category. 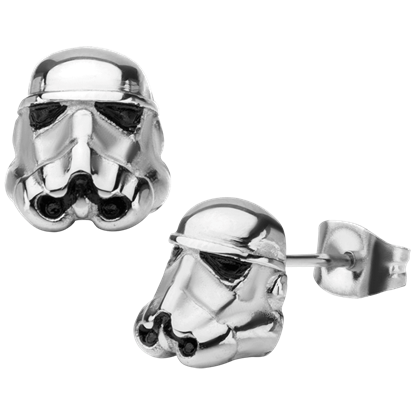 Be inspired by the fashion trends of a distant galaxy with the 3D Stormtrooper and Galactic Empire Earring Set. As part of their goal to bring order to the universe, the Imperials stay up-to-date. You can too with this stylish jewelry. Even though they are villains in a galaxy far far away, the Imperials are never without style. 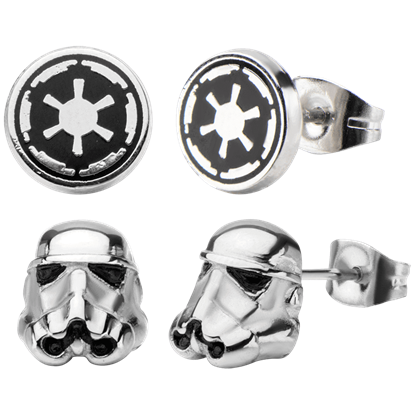 While you may not be able to don white armour, you can spice things up with the 3D Stormtrooper and Galactic Empire Enamel Earrings. As the Star Wars saga unfolds, the Imperial soldiers never fail to add a touch of humor to a scene. 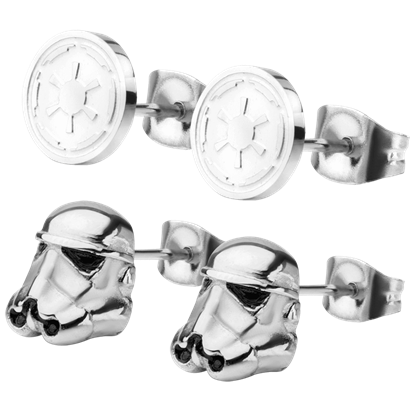 While these villains may feel remorse for misfires and lost prisoners, you will not regret wearing the 3D Stormtrooper Stud Earrings. First introduced in The Empire Strikes Back, the AT-AT is the most heavily armored ground vehicle of the Galactic Empire. 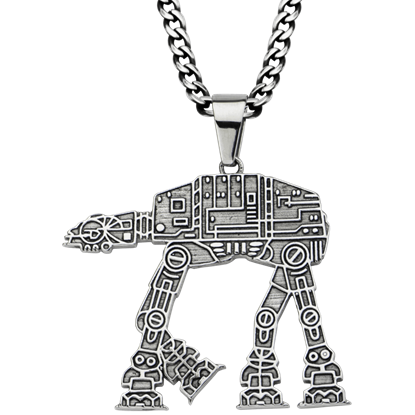 This AT-AT Walker Necklacedisplays one of the most recognizable symbols of Imperial military might. Trained since childhood to be a bounty hunter, Boba Fett becomes one of the deadliest mercenaries in the galaxy. 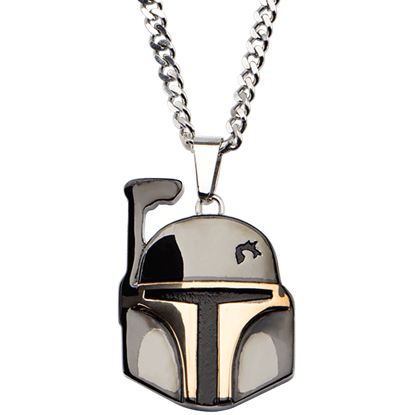 This Boba Fett Helmet Necklace displays his Mandalorian style helmet, complete with shading and battle damage. Built by young Anakin Skywalker, C-3PO is a protocol droid. C-3PO and his companion R2-D2 provide comic relief throughout the Star Wars saga. 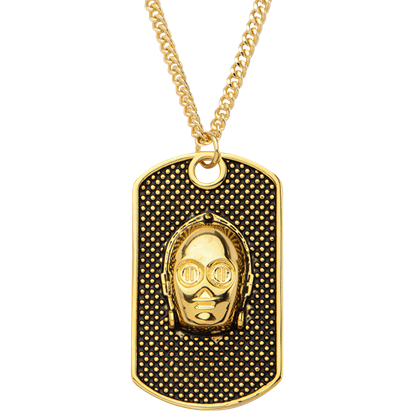 This C-3PO Dog Tag Necklace displays his head mounted on a textured pendant. Warrior, smuggler, and co-pilot of the Millennium Falcon, Chewbacca is a Wookiee from the planet Kashyyyk. His best friend is fellow smuggler Han Solo. 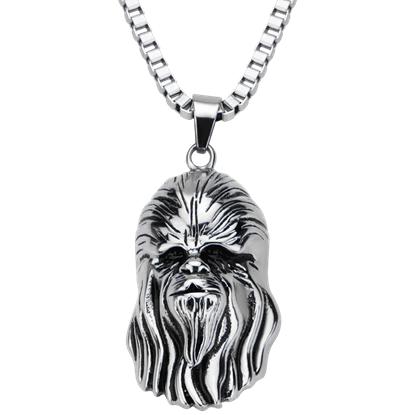 This Chewbacca Etched Necklacedisplays an etching of his hairy face. Chewbacca is the tall, hairy companion of smuggler Han Solo. Although he has a violent temper when provoked, Chewbacca is extremely loyal to his friends. 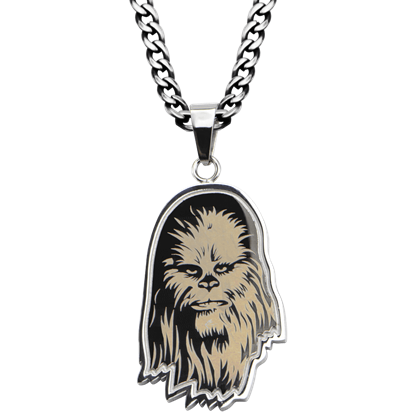 This Chewbacca Etched Pendant with Chain makes a stunning personal accent. Despite his villainous role, this Sith Lord has drawn quite a following. Perhaps it is his story of revenge and redemption, or his cool, ruthless aura. 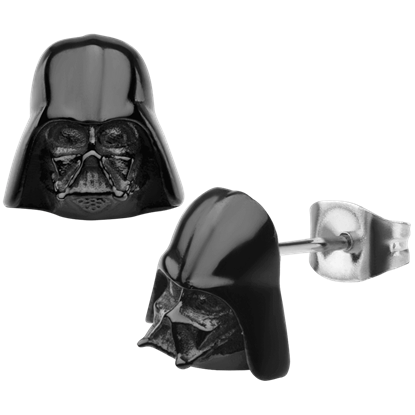 Regardless, no fan should be without these Darth Vader Black 3D Stud Earrings. Darth Vader, apprentice to Emperor Palpatine, seeks to destroy every member of the Jedi Order. Once a Jedi Knight, Darth Vader fell to the Dark Side. 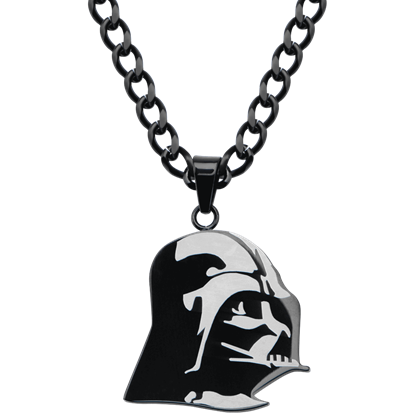 This Darth Vader Black Mask Necklace makes an ominous personal accent. Sith Lord Darth Vader is the main villain in the original Star Wars trilogy. The Sith are mortal enemies of the Jedi who defend the light side of the Force. 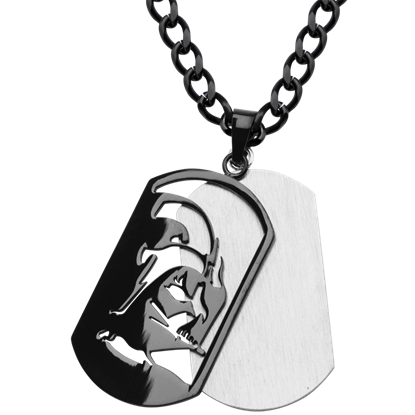 This Darth Vader Dog Tag Necklace makes a striking personal accent. As apprentice to Emperor Palpatine, Darth Vader oversees the construction of the Death Star, the immense space station commanded by Grand Moff Tarkin. 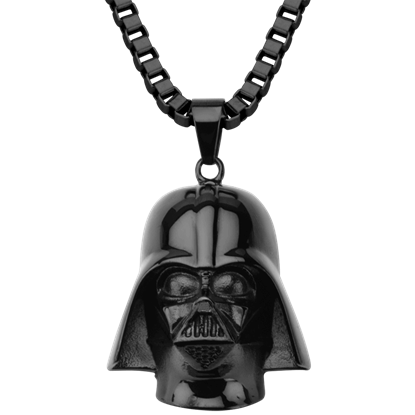 This Darth Vader Etched Necklace makes an imposing personal accent.